You’ve probably heard this debate a million times before. Fair enough, but before you move on let me say this: what follows has got me thinking about the way we have been eating. Mostly healthily, I thought – I already read labels and avoid most of the common junk foods and additives out there. But now, I will make sure to balance out our Omegas too. Unless you are vegan or allergic to lactose and casein, pure butter or lower in lactose and casein ghee – suitable for those with an intolerance, makes for a much healthier choice for your morning toast than any other, especially “vegetable” oil, spread. Butter (or ghee) tastes better, it’s all natural and has been around for centuries. Margarines and spreads were only developed a century ago and are highly chemically processed. 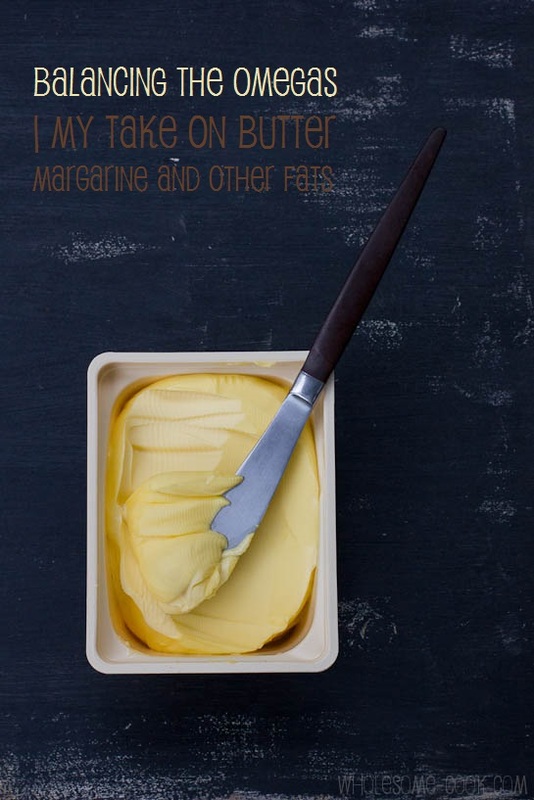 On average butter contains only 3 ingredients while margarines and spreads can contain well north of 10, including colouring that gives them the familiar yellow colour of butter. But isn’t saturated fat bad for us? Well, while on one hand we are being told so, on the other research suggests to the contrary. 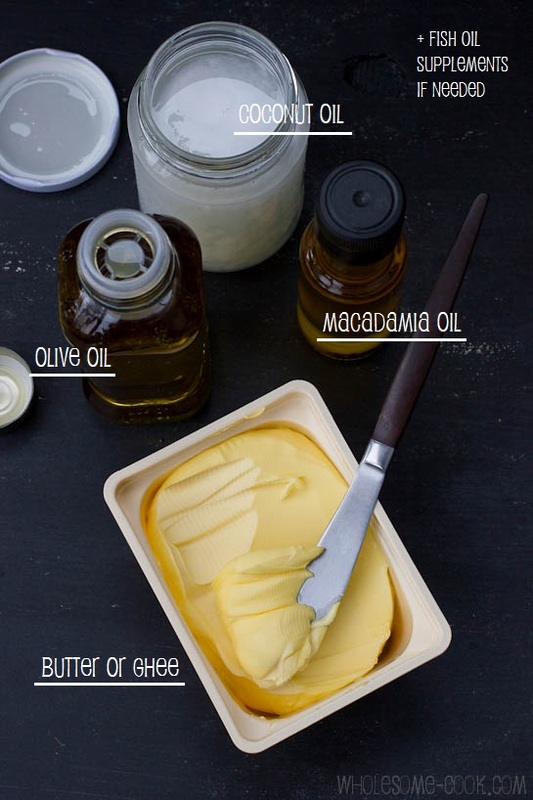 There are some middle of the road alternatives on the market – spreadable butter blends, which combine butter with a variety of oils to make them soft-out-of-the-fridge, but considering my next point, I probably prefer to steer clear of those too. 2. So, is “vegetable” oil healthy or not? Firstly, there is no such thing as oil from vegetables. Secondly, research shows that the so called “vegetable” oils promote inflammation and many modern-day ailments. This is where it gets a little technical but the truth is astounding. There are nut and seed oils, unsustainbly harvested palm oil and the genetically modified canola oil. Most of these are super-highly processed (extracted using chemicals, bleached, deodorised) and high in Omega-6 aside from all the, however small, chemical residues they have been processed with. While in Australia hydrogenation – a process of solidifying unsaturated, plant-based fats that creates bad trans fats has been mostly discontinued in favour of inter-esterification, frankly I do not want any of my food chemically processed in a way I cannot understand. The fact, however, is that our body needs both Omega-6 and Omega-3 to function properly and ideally the ratio should be somewhere in the region of 5g of Omega-6 to 1mg of Omega-3 (source). On average the recommended daily intake of Omega-6 is around 14g for an adult, which should roughly translate to an intake of just under 3mg of Omega-3. Considering that a tablespoon of sunflower oil contains 9g of omega-6 and most of convenience and junk food is made using seed oils and “vegetable” oils (high in Omega-6, see table), it is no surprise that most people get 10 to 15 times more omega-6 than omega-3 in their diet. Many don’t even reach 1mg of Omega-3 in a day! This over-consumption of omega-6 over omega-3 has been linked to almost all modern day diseases ranging from heart disease, IBS, diabetes and allergies (see Dr Mercola’s article here or Chris Kresser’s article here). Astonishingly, we are still encouraged to swap out our butter for vegetable oils. And so, a slice of toast spread with margarine will have 15 times as much omega-6 fat as a slice covered in the same amount of butter. Even the bread is a problem, because there are almost no supermarket breads which are made without seed oil, and some contain your entire maximum daily allowance of omega-6 in just two slices without the spread (source: David Gillespie author or Toxic Oil in Good Weekend). Reading labels, not stocking offenders and cooking from scratch are probably one of the quickest ways to eliminate excess Omega-6 and these “vegetable” oils from your diet. Most convenience food items such as cakes, cake mixes, biscuits, chocolate, crisps, crackers, pastries and junk food are made using those oils and shortenings. They are advertised as the healthier option – think of hot chips or crisps that have “no cholesterol” or “saturated fats” (the fact is that saturated fats are more natural, stable and keep us fuller for longer). Oily fish: salmon, mackerel, sardines – tinned is fine also, and more convenient! Fish or Krill Oil supplements can also be taken, but individuals who have disorders involving bleeding, who bruise very easily, or who are taking blood thinners should consult with a medical practitioner before taking supplemental omega-3 fatty acids. …So, tell me, what do you think about the butter vs margarine debate? Will you be taking a closer look at the facts and fats in your cabinet or fridge? Will you be making some changes or do you thing this is another one of those unsubstantiated trends? I am always left wondering about studies done in the US, as I believe their margarine is quite different to ours and that they don’t use it in the same ways as we do. The many American children I had contact with when young did not consume it as a spread on bread, they used mayonnaise instead even if eating a banana sandwich. So are we actually comparing apples with apples, or apples with potatoes? Hi Tracy, I understand your point. However, the process of using chemicals in extracting the oil – often from unsustainable or GMO (canola) sources, then processing of it using more chemicals from these seeds has been the common denominator around the world – the process is the same. So while in Australia, margarines are mostly unhydrogenated, the oil used to make them (and that mayonnaise) is highly processed, plasticky if you like. Also, as you can see from Eha’s comment below, scientists in Australia are now coming to similar conclusions, too. A study conducted at Sydney University concluded for instance that mice fed “vegetable” unsaturated oils, developed skin cancer (rapidly) while those who were fed saturated fats, we immune to developing skin cancer, and in fact, skin cancer growth in the first group of mice was slowed by swapping them onto saturated fat diet. My whole point here is to avoid excess consumption of highly processed fats and to watch one’s omega balance, suggesting better alternatives. Thanks Martyna, clears things up a little in my mind, my policy in my diet is all things in moderation, to enjoy a variety and to avoid over processed foods as I find that eating a healthy diet, I do not enjoy them anyway. I’m interested in the ‘why’ behind this. I have started using fish oil supplement daily, and I do bruise easily. Hi Rach, Omega-3 acts in the body as blood thinner – or more precisely it prevents blood from clumping together into clots. This is all good, generally as it helps prevent many artery clotting related diseases, but if Omega-3 (i.e. fish oil) is consumed in excessive amounts, that’s higher than the recommended maximum of 3mg a day, it may lead to nose bleeds, longer periods, etc. Since bruising is caused by underskin bleeding, it may take longer for the bleeding to stop and for the bruises to “scab up” under the skin and heal. Good to know, that’s a bit more detail than what I found last night. A well-researched post, Martyna, with which as a med school graduate and nutritionist still studying I largely agree. Naturally one should avoid all socalled ‘margarine’ spreads ehich do the most harm of all, but I have found many ways to avoid the fat contained in butter also: my breakfast spreads include hommus, dhal, avocado and other vegetable matter etc and I personally rarely bake. . . . I am still coming to grips with using coconut products as for so long they have had a bad rap, but doing nutritional courses ex three universities at the moment, most who teach are coming to the same conclusion. Thank you for pointing out some of these facts and mainly for warning your readers about the chemical dangers of anything resembling margarine! Thank you Eha, it is always good to see affirmation of one’s research by someone studying the field. Interestingly, not too many practicing dietitians share a similar view – is this because they are required to follow government guidelines? To me, it is a simple question of what’s more natural and less processed and what has the more healthy balance of nutrients. Like yourself, I often just use avocado of hommus as a spread too. Yes, I have been changing. A lot of people think I am being unhealthy though and try to educate me to eat properly. Even the healthy cooking magazines etc are full of things which are probably not healthy so you have to be wary. I sure don’t eat perfectly but do like the idea of making your own food much more than buying processed. I have some questions and comments which popped into my mind. I have unprocessed cold pressed (environmentally friendly) palm oil from Ghana. That is healthy, isn’t it? Why do you say organic dairy? Is it different fat or just to be free of pesticides? Grass fed beef…I forget how that differs from grain fed …is it the oil content? Lastly, something random which you did not mention….I always hear about grass fed beef but there has to be grass fed lambs. Are they healthier too? If so, in what way? (I am just thinking of my son who always gets sick eating lamb) Or are all lambs grass fed? lolz I am not a great farmer, am I? Firstly good on you for making a change – little steps are better than none. And for being wary of some advice – it is always best to consult a couple of sources before making a call one some of this stuff – yep, I am encouraging you to read more about what I’ve said here too. Q: Organic dairy – it would be free of pesticides, hormone and antibiotic residues, plus it would not be chemically processed. Q: Grass-fed beef – cows eat grass. Grains and animal-sourced meal feed are used to bulk up the animals and make them grow faster. It is not natural and not sustainable as it puts pressure on grain producers to make cheap, often GMO crops. I also live in NSW, Australia. And yes, the palm oil I get is cold pressed from Ghana and VERY red. I get it from African/Middle Eastern grocery stores. It is about $10 a litre. Just after asking you all these questions, I stumbled across more food for thought!!! The topic of this article is something I had never heard of!! You might like to take a look at this! Martyna: as I am not ‘officially’ in the ‘dietetic workforce’ in town as you might say, more adding/correcting the now incorrect information I was fed throughout earlier times which I have since eschewed for my own purposes, I do not know but can but guess! I live semi-rurally SW of Sydney: have a terrific GP [member of the Australasian College of GPs to start] of Greek heritage: quite frankly half the time he throws his hands up and says: ‘Eha, I honestly DO believe you are right, but this is not what I was taught at the Uni and I simply do not know’!!!! Professionals learn what is accepted and believed at the time they are studying: then they go out into the world to make a living, create homes and families – some keep up, others don’t. If someone like me [and there are so many] is able to keep up with the newest longitudinal and lateral studies [time and numbers of people involved] we may be annoyingly and not always correctly ‘ahead’ of the mainstream!!! So, I do not think it is Govt guidelines, it is just that there are 24 hours in any day!!!! Hi Eha, I recently spoke to a nutritionist who is doing her dietician’s pracs and she said that eventhough she believes in saturated fats (butter, coconut oil) she is not allowed to mention her views to her clients and knows of cases where dieticians have been blacklisted for teaching people theories that go against what they have been taught and against government guidelines. I guess it’s a catch 22 sometimes – especially when it comes to more uncharted waters where we could have everyone saying a different thing. In my view, lifestyle changes to diets should be tailored to bioindividuality but have a few common denominators based on most recent research. I’m a butter woman. When I was young, it was margarine everywhere and we left some out on the picnic table while camping along with other stuff. Everything but the margarine was all gone. That told me all I wanted to know and I’ve never knowingly eaten it since. I am with you all the way Martyna; I always use butter on my toast, I have been suspicious of margarine ever since I was a child. This is very interesting information. I had no idea that grape seed and canola oils weren’t good (guess what’s in my cabinet!). I wish it were easier to get grass-fed butter – that’s the best. And based on what I’ve learned from an excellent nutritionist, interesterified fats are just as bad as hydrogenated. Hydrogenated is just easier to spell and pronounce. 🙂 I am also interested in what you had to say about saturated fats. I’m very interested in trying coconut oil, but the one time I did try it – probably about 6 years ago – it had a strong taste. And I am concerned about that because I’m pretty sure my husband would not like that flavor in things that aren’t supposed to taste like coconut. If anyone has information on what a good brand is that really does not taste like coconut and comes in a relatively small container, I would be very interested in that information. I have been using Smart Balance in place of butter for some things (like tortillas) as it is a way that I thought was good, to cut down on the calories. I’ll have to re-evaluate what I’m doing. Thanks for posting this excellent information. The oil is extracted from rice bran using high temperatures and goes rancid quickly once pressed. Unlike olive oil, it ISN’T cold-pressed. To refine it, a solvent is used to extract the oil from the bran which is later evaporated off (and tested post-production for residual solvents to double check for traces). That’s followed by neutralisation, bleaching, winterisation and de-odourisation steps, as with most other oils. This creates refined and stabilized oil, bringing about a long shelf life and high smoke point. However, what you lose is the “naturalness” of the oil. Rice bran oil also has little omega-3 (alpha-linolenic acid) and lots of omega-6 (linoleic acid). Wow…. won’t be using that anymore. Thanks so much for the info.